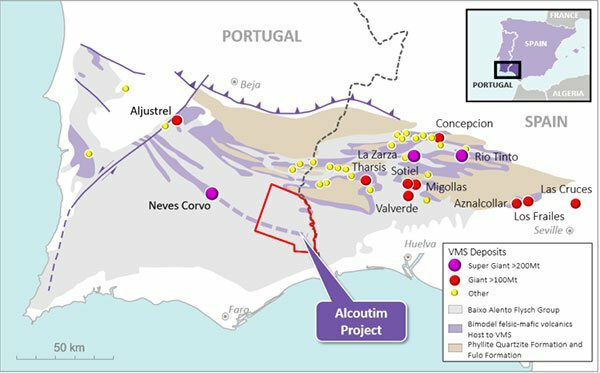 Shares in Auroch Minerals (ASX: AOU) have surged 15% in just over a week, predominately driven by promising news regarding drilling activity at its Alcoutim project located in Portugal. 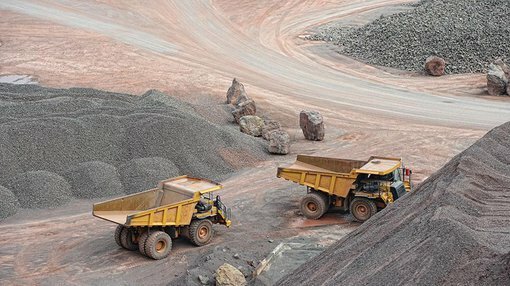 This momentum could continue based on news that was released on Friday morning which indicated further progress had been made with the second hole which intersected the Volcanic Sedimentary Complex (VSC) sequence of altered and brecciated volcanic rocks that are host to the Volcanic Hosted Massive Sulphide (VMS) style mineralisation throughout the Iberian Pyrite Belt. This was a highly promising development for AOU as multinationals that are producing from a region which is along trend from the Alcoutim project have had success in similar geological formations. What is important about today’s news is that the VSC which was intersected by drilling to a depth of 830 metres is now even more significant, as management’s strategy of drilling a further 250 metres downhole demonstrated that there was a sequence of submarine pillow lathers that form part of the volcanic sedimentary complex. In commenting on this development, AOU’s Chief Executive, Doctor Andrew Tunks said, “The hole intersected a thick pile of mafic-basaltic layers from 830 metres through to the end of the hole (1088 metres), and preliminary analysis suggests these are strongly magnetic and are the source of the Foupana Magnetic anomaly, more importantly they are also a large volcanic heat engine to drive the ore forming process. Within the Alcoutim license there is a major magnetic anomaly known as the Foupana magnetic anomaly that is clearly a major volcanic centre, and this volcanic centre remains one of the main target areas for the group’s exploration. Notably, the very strong Foupana magnetic anomaly in the east of the license lies directly along the Neves-Corvo trend and is associated with significant electromagnetic and gravity anomalies. Consequently, this latest drillhole points to the fact that AOU has encountered similar mineralisation to that which hosts the supergiant Neves-Corvo copper-zinc mine operated by Lundin Mining. The third borehole of this first phase of drilling is positioned between the Foupana magnetic anomaly and the Neves-Corvo supergiant deposit, and in line with that trend as indicated above. The hole-3 target combines the key geological and geophysical elements which led to the discovery of Neves-Corvo, coincident gravity and electromagnetic anomalies. The borehole will target black shales of the Neves Formation at depths of between 700 metres and 800 metres. Intense sulphide mineralisation at the formation is expected due to clearly positive signals from two different types of electromagnetic surveys (ground EM and AMT). Management also noted an additional factor that supported its confidence in that a coincident large gravity anomaly confirmed the prospectivity of the drill target. 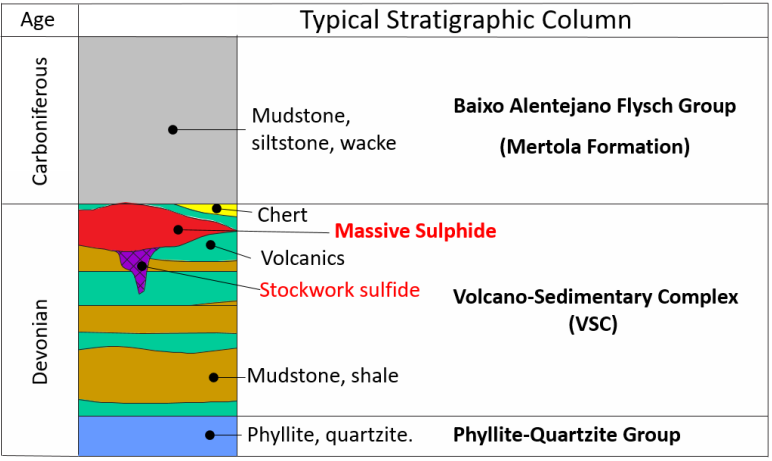 A typical stratigraphic column is illustrated below.